A fine novel and I think quite unusual for its time. The camera or narrator follows each of the characters for a while and then moves on to another and doesn’t return to their view again – apart from the main character Verloc. The best thing about the novel are the things left unsaid and you are not given any of the characters in their entirety. They have a history and possibly a future that is only hinted at. When you first read the back cover you get the gist of the plot and this pans out as expected but the details are not expected and the questions left unanswered make this novel incredibly satisfying. I can’t remember the last time when I was free to imagine scenarios and outcomes after finishing a novel; even in considering how the characters had got to the place that the novel covers. So, this is definitely a creative novel and one where someone could pickup writing where Conrad left off and… maybe ruin it. 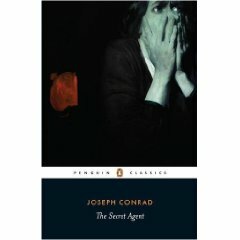 I will read more Conrad over the dark London winter.